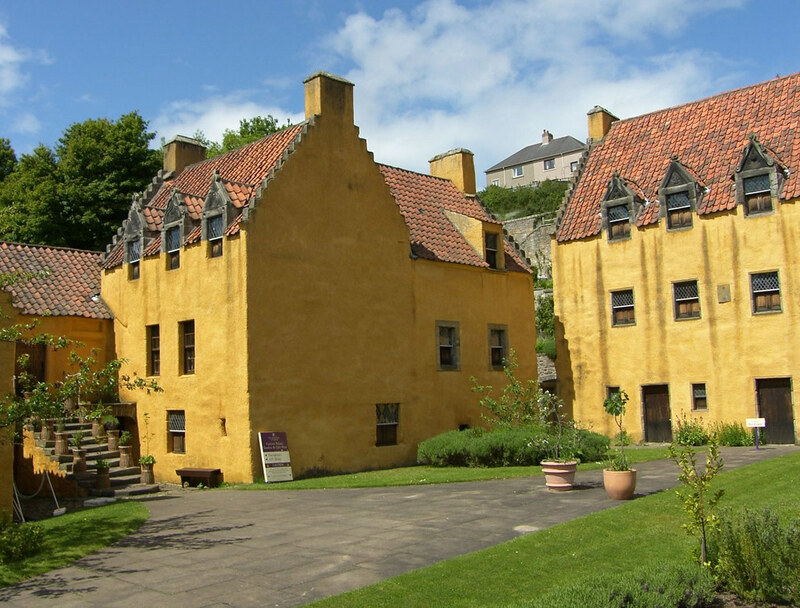 Leaving Edinburgh you follow the trail of some of the film best known locations featured in the Outlander TV Series. 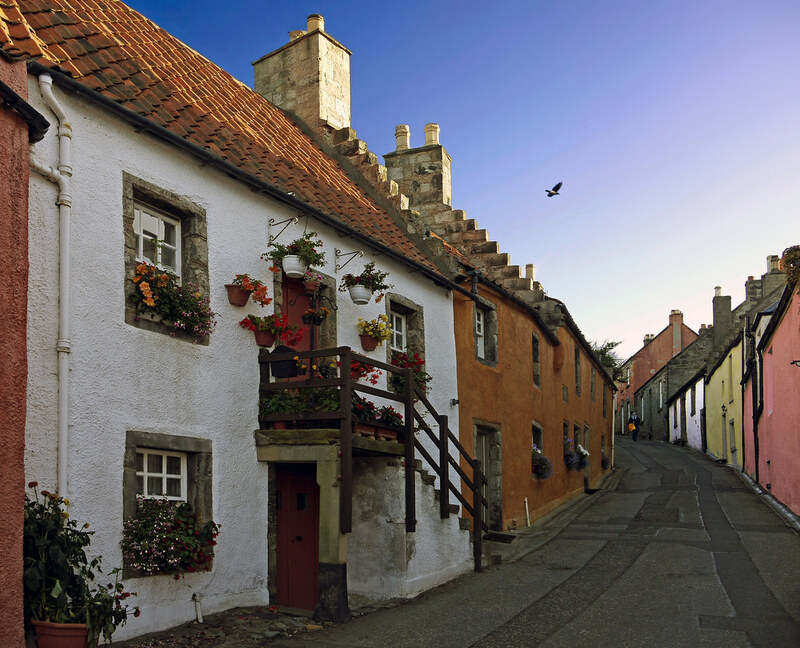 Heading north to Inverness our first visit will be the charming village of Culross, the fictional village of Cranesmuir and the home of Geillis Duncan and her ill-fated husband Arthur. 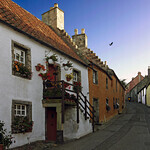 Exploring the towns cobbled streets is like taking a step back in time. 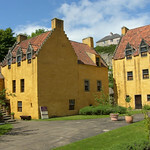 Look carefully and you may even find Claire’s herb garden behind the impressive, historic Culross Palace. We continue to the small town of Falkland to revisit one of the first scenes of the show where Falkland substitutes for 1940s Inverness. 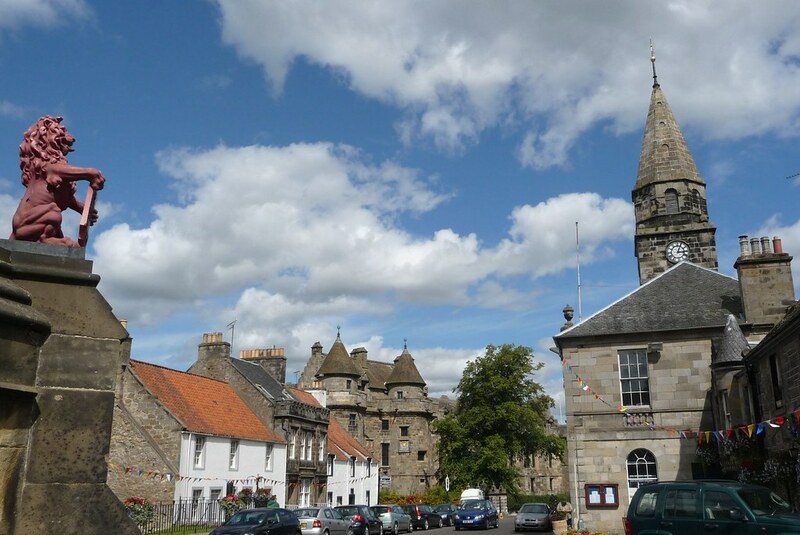 See if you can recognize the familiar sights such as Mrs. Baird’s Guesthouses (The Covenanter Hotel) and the Bruce Fountain where Claire sees the ghost of Jamie. 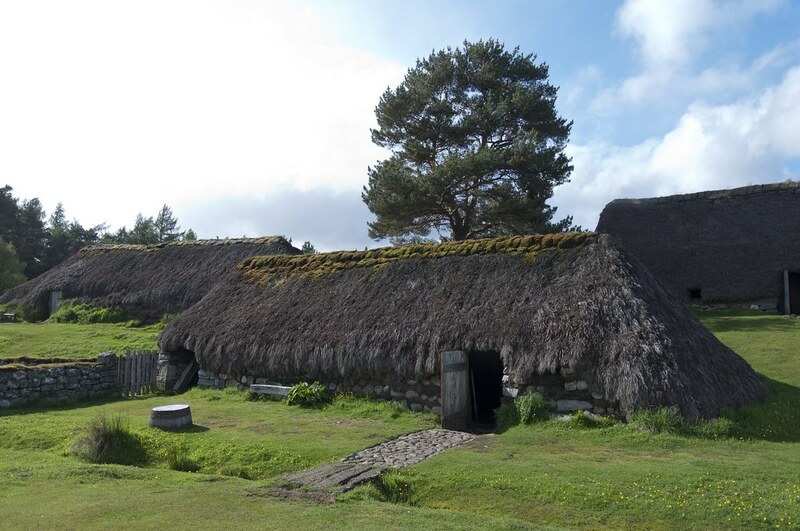 In the early afternoon we stop at the Newtonmore Highland Folk Museum, which houses replicas of 18th century turf-roofed Highland crofts, making it a perfect choice for the period scenes. Heading North again we pass Aviemore where you may recognise the stunning hilly and wooded area of Tulloch Ghru which appears during the journey Claire takes with Jamie and the Highlanders from Craigh na Dun to Castle Leoch? 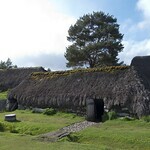 Arriving in Inverness later that afternoon your base will be at the Glen Mhor Hotel (or similar). Jamie joined the Jacobite army to fight for the Stuarts. You have the opportunity to explore the visitor centre and site and pay tribute to those who lost their lives at the last battle fought on British soil. 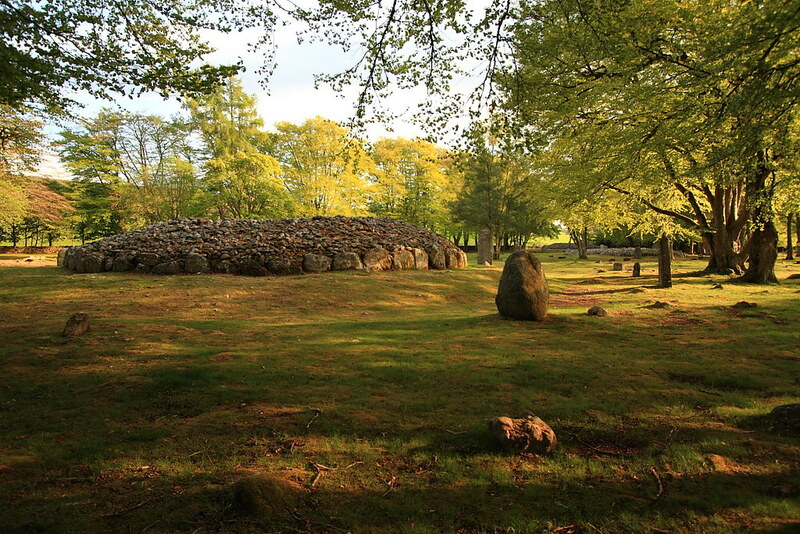 Later you take a short drive to the ancient standing stones at Clava Cairns, which could have given ‘Herself’ the inspiration for Craigh na Dun. 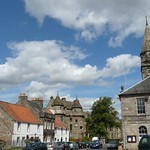 We return back to Inverness with time to explore the town and enjoy the city for another evening. 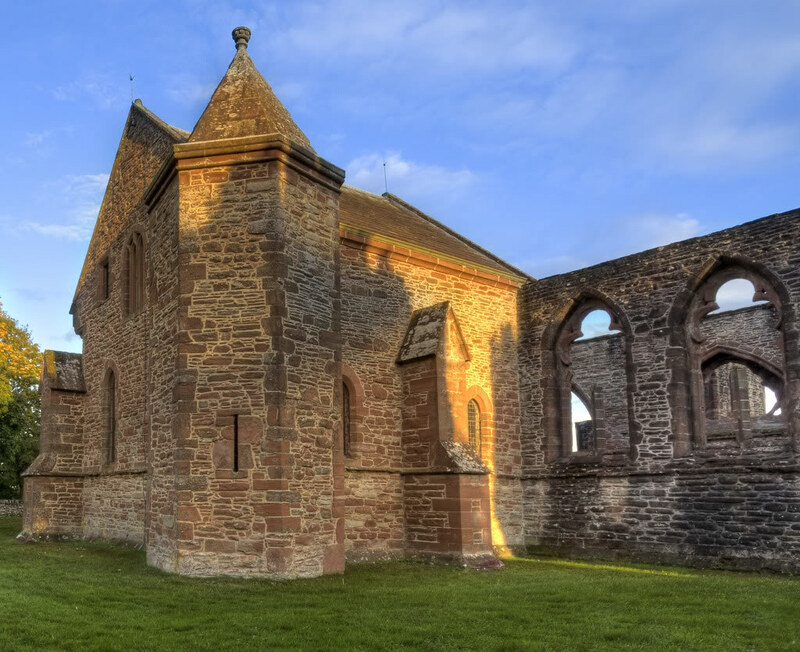 A short drive this morning will take us to Beauly, the site of Beauly Priory and the tomb of Lord Lovat in the heart of Clan Fraser lands. 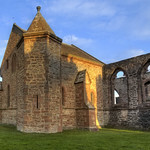 Beauly priory is a beautiful 13th century ruin and, according to Diana Gabaldon’s book, is where the Lovat Frasers are buried. 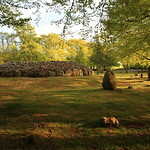 From here we continue to Castle Leod, seat of the Clan Mackenzie, where we have the opportunity to enjoy a relaxing walk in the grounds while your guide tells you some of the history of the Clan and Castle. 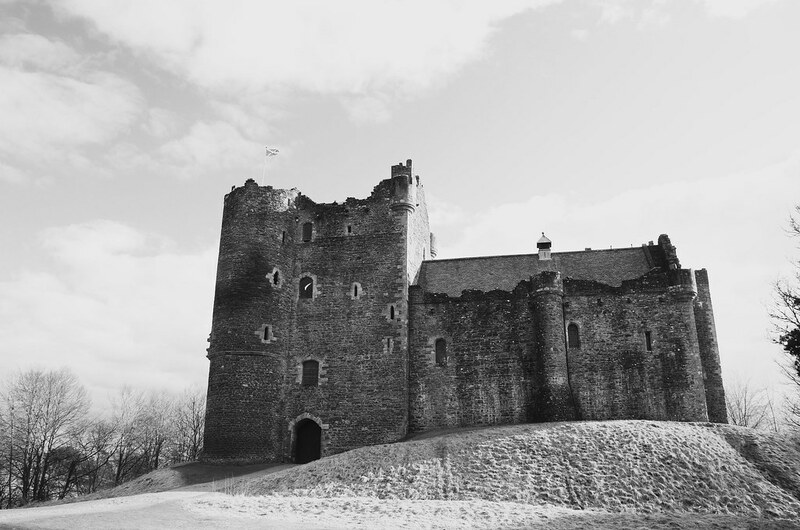 The Castle has a striking resemblance to how Diana Gabaldon has described Castle Leoch, however she had never heard of the castle prior to writing Outlander. In the afternoon, you have the opportunity to sample ‘The Water of Life’ with a whisky distillery tour and tasting. There might even be time to look out for the Waterhorse at Loch Garve! We then continue along the entire length of Loch Ness – another opportunity for some monster spotting before arriving in Fort William for our overnight stop. We travel to Glenfinnan this morning to visit the monument which commemorates the beginning of the last Jacobite rising. It stands framed amid typically spectacular Highland scenery at the head of Loch Shiel with sweeping glens as a backdrop. We continue through magnificent Glencoe, one of Scotland’s most famous and scenic glens. From here we cross the rugged Trossachs area and onto Doune Castle near Stirling. 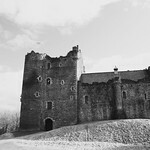 The Castle which is an extensive ruin featured as Castle Leoch in the TV programme, home to Colum MacKenzie and his clan in the 18th century episodes. We return to Edinburgh later that afternoon with a photo stop at Blackness Castle on the banks of the Firth of Forth.